This is not linguistics. It is, however, pretty cool. Photo taken by Flickr user Uncle Catherine, and used under the Creative Commons Attribution 2.5 Generic license. Psycholinguistics: Like a zombie valiantly trying to overcome his crippling aphasia, psycholinguistics all about language and brains. Since I’m all about sound, you’ll probably be getting a lot of stuff about brains and sound. 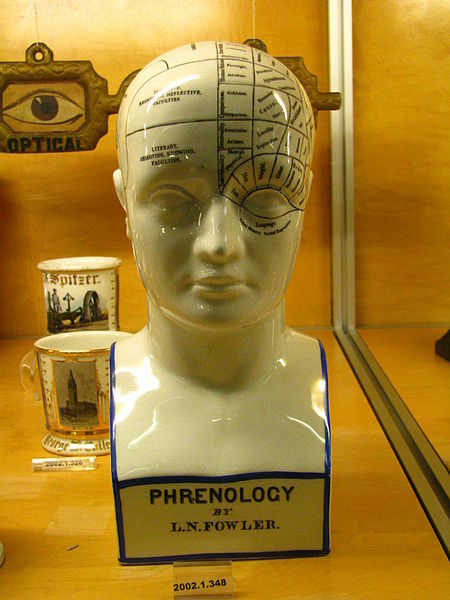 Phonology: Often confused with phrenology (no, seriously, this happens to me all the time) it’s the study of the systems of rules languages apply to their sounds. Here’s a quick example: say “dogs” and “cats”. Is the “s” on the end of both of those words the same? Try saying it again with your hand right above your Adam’s apple or where your Adam’s apple would be. When you say the “s” on “dogs” you should feel a slight buzzing, like you’ve swallowed a bee. The “s” on “cats”, though, doesn’t have it. Whether or not the final “s” has buzzing in it (linguists call it “voicing”) is determined by a simple rule in English: you get vibration on the final “s” if the sound before it had it. The “g” sound in “dog” has vibration; the “t” sound in “cat” doesn’t. Next ›How much do you talk?